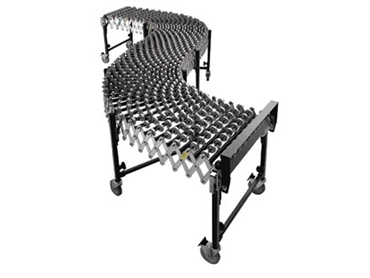 Sitecraft ’s expanding skate conveyor provides an ideal solution for truck loading and unloading needs. Expanding skate conveyors are suited for packaging, shipping and flexible assembly lines. The optional Impact Support Section is recommended for high impact receiving applications.